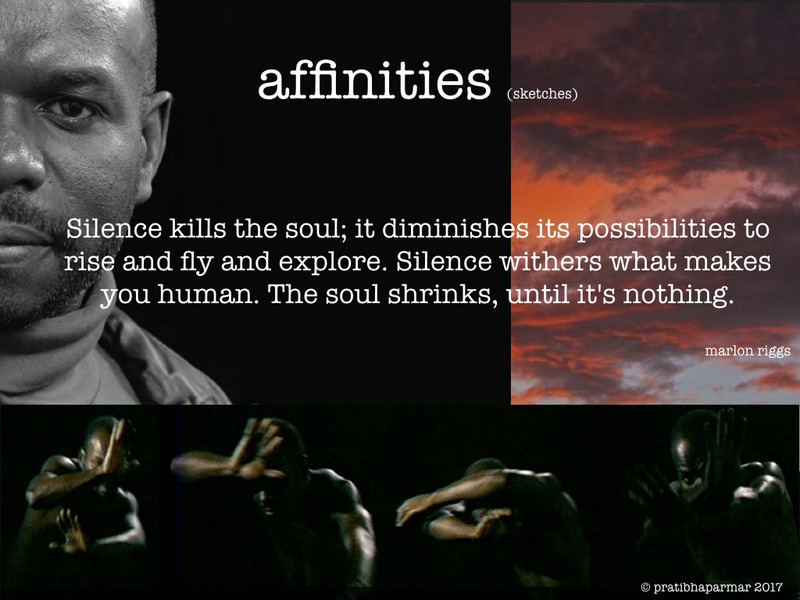 Affinities is my response to Outlook Issue No 10 Fall 1990 in which I explore my affinities to Marlon Riggs & Cherrie Moraga. 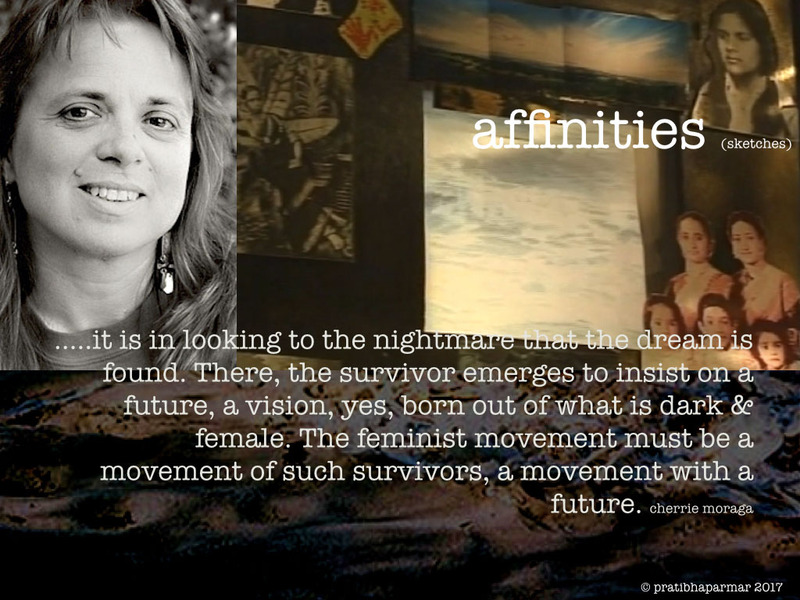 These affinities are explored through a language of the body, excavating moments of connections. Sound scapes, film and text evoke memory fragments that shaped an artist within movements of affirmations. Marlon had passed away the night before. It was the late 1980’s. It was the early 1990’s. Pratibha Parmar is a filmmaker, artist and professor. Pratibha has been making award-winning films for over 20 years and brings a passionate commitment to illuminating untold stories with integrity. 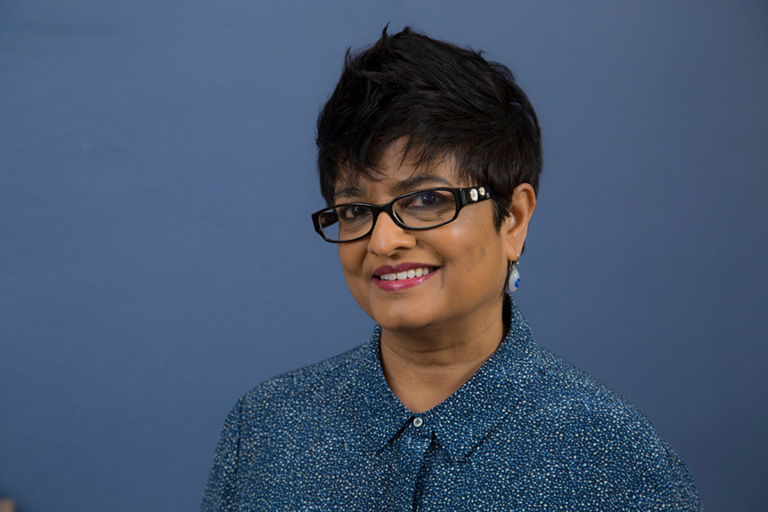 Author and editor of several books, Pratibha was awarded The Visionary Award for her body of work from the One in Ten Film Festival and is a winner of the Frameline Film Festival Life Time Achievement Award. 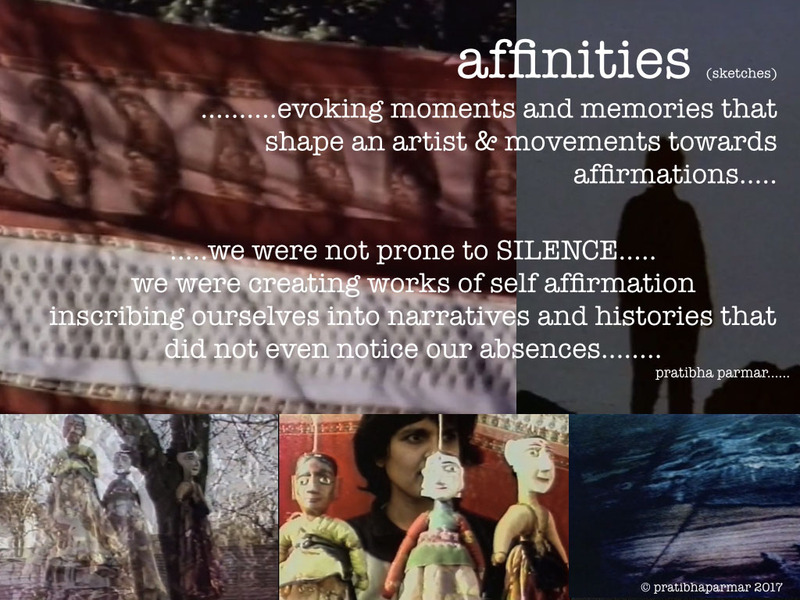 In 2013 Pratibha was Visiting Artist at Stanford University in the Theatre & Performance Studies Department and is currently an Associate Professor in the Film department at California College of the Arts, San Francisco. Pratibha is a voting member of AMPAS and BAFTA. Most recently Pratibha was honored with the ICON Award for her contribution to world cinema at the London Indian Film Festival. Currently her short film Sari Red is part of the exhibition, The Place Is Here at the South London Gallery.